Betty Lambert was a renowned Canadian playwright and English professor at Simon Fraser University in Vancouver, British Columbia. Her most famous works were the children’s play The Riddle Machine, the radio play Grasshopper Hill, the comedy Sqrieux-de-Dieu, and the dramas Under the Skin and Jennie’s Story, which was adapted into the film Heart of the Sun in 1999. 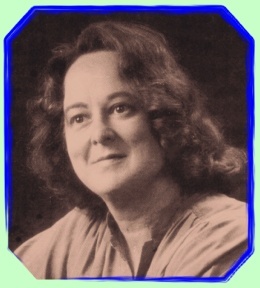 Betty Lambert passed away in 1983. 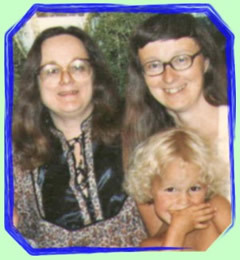 With the support of Betty’s daughter Ruth, this website was created by Lambert’s nephew, Lee Beavington. 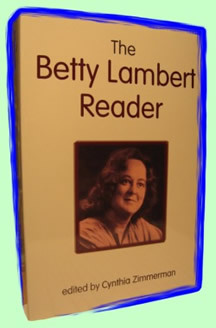 Within these pages you can find a listing of Betty’s writings, both published and unpublished, look at photographs and information on the Betty Lambert Memorial Prize. You can also share a story about Betty, read some quotes, or visit the biography page, which includes a note from Betty’s daughter and her eulogy. You can also order the e-book (for kindle) from Amazon. Includes short stories, novel excerpts and full plays. Readers will find common threads of concern—moral, political, metaphysical, aesthetic—that link these disparate works of fiction. Yet each is distinctive and each bespeaks an intense imagination, a philosophical bent, a sophisticated literary orientation, and a professional attention to craft. Her works deserve to be better known. 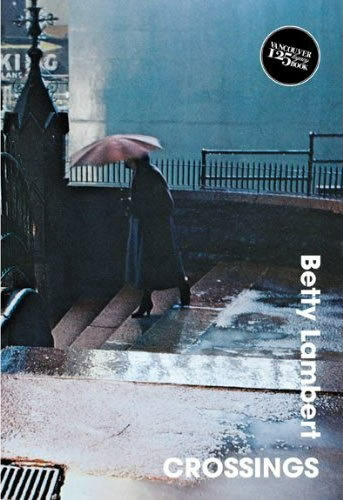 Betty Lambert lived and wrote defiantly, subversively; she faced all of her life struggles, including her death, with extraordinary courage. CYNTHIA ZIMMERMAN is a professor in the English department at Glendon College, York University, in Toronto. She began working in the Simon Fraser University archives on the Betty Lambert collection after teaching Lambert's plays for many years. She was amazed to discover so much wonderful material there! For Playwrights Canada Press she is currently preparing an anthology of Lambert’s writings, including selected stories, essays, radio plays and stage plays. She has given a number of papers on Lambert, her most recent on Jennie’s Story for the Association of Canadian Theatre Research in May 2006. “Auto/Biography and Re/Vision: Betty Lambert’s Under the Skin” was published in Theatre and Autobiography: Writing and Performing Lives in Theory and Practice (Edited by Sherrill Grace and Jerry Wasserman. Vancouver: Talonbooks, 2006: 152-166). The research and crafting of www.bettylambert.ca was a labour of love. It began when I read my mother’s unpublished book, Touching: A Family Love Story, chronicling the last year of Betty’s life and her courageous fight with cancer. The format was a stack of 600 yellowed, typed, prose-marked pages teeming with handwritten edits. I decided to transfer them to a word processor. A few months and 150,000 words later, I was left humbled and awed by the story of this remarkable woman. 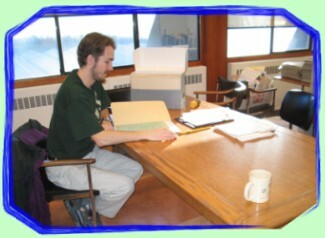 From there, my journey led to the Special Collections Library at Simon Fraser University. The amount of material was staggering, a mountain of manuscripts. Where to start? But the more I read, the more I felt compelled to return. For within these boxes were the memoirs of my late aunt, and the evidence of a great writer. Delving through the forty boxes of scripts, drafts, articles, and journals helped me uncover the essence of my aunt. I also trespassed into self-discovery. In some ways, the progression of Betty Lambert as a writer has paralleled my own forays into the fine arts. Sometimes I felt like an intruder, stumbling across the private life of a person I had hardly known in life. But ultimately my search was for truth, and my aunt was never one to shy away from truth. Betty died when I was only six. My memories of her are scattered, though I recall she lived about a half hour from where I grew up. When we visited, I took much glee in running around the yard with her dog, Golda. And she possessed a very nice set of Russian matryoshka nesting dolls that my budding intellect found fascinating to separate and then piece back together. The closest I came to knowing Betty as an adult was witnessing performances of her final two stage plays, Jennie’s Story and Under the Skin. These left indelible marks on me as my first exposure to theatre. Betty’s humour, honesty, and absolute fury at injustice surfaced from the intensely drawn characters. 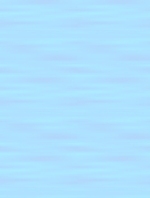 In my own writings, and constant genre-jumping, I had recently written some science-fiction and fairy tales. Lo and behold, what did I find among the SFU archives, but that Betty had written them as well. These always seemed overlooked as part of her literary canon, but it gave me a personal connection. I dedicated my first printed collection of stories, Journeys, to my extraordinary Aunt Betty. I’m sure she will inspire me throughout life. I’ll never match her wit, but I have her same determination to be heard. People have always told me writing is in my genes, yet it was nice to discover that my aunt and I share more than DNA. I hope this website will serve as a fitting tribute to this remarkable woman and her literary legacy.